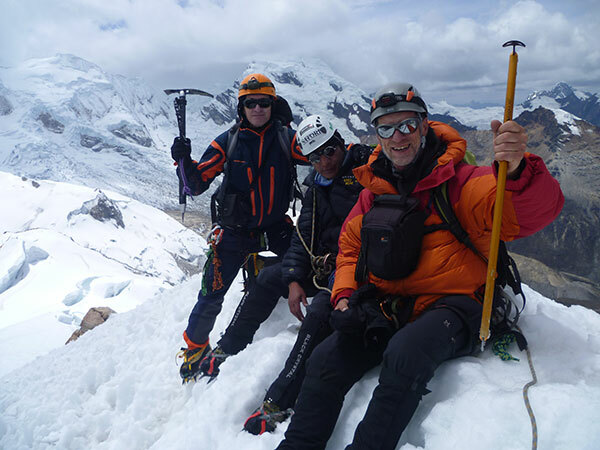 Ishinca Climbing – Climbing Ishinca Cordillera Blanca The Ishinca Valley is located just outside of Huaraz, and is an excellent location to climb a variety of peaks. 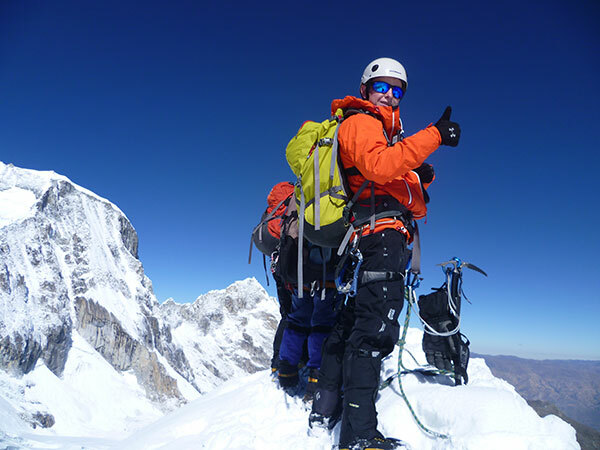 This trip will ascend a variety of climbs that are great for beginning high altitude climbers wanting to gain high altitude climbing experience. the short approach provides for a maximum amount of time to acclimate and learn glacier, snow and ice climbing skills. Day 1:Huaraz – Pashpa – Ishinca Base camp 4,300m. After the breakfast in the Hotel in Huaraz, at 07:30 hours we will go to pick up you and start drive to up to Cochapampa at (3670m), it will takes 1 hours drive, here our donkeys and donkey driver will be waiting for us, from Cochapampa to Ishinca takes 4 hours hike, there is the Huascaran National Park’s control, where you will register with your passport, lunch on the way, arriving to the base camp of Ishinca around 2:p.m. hours. 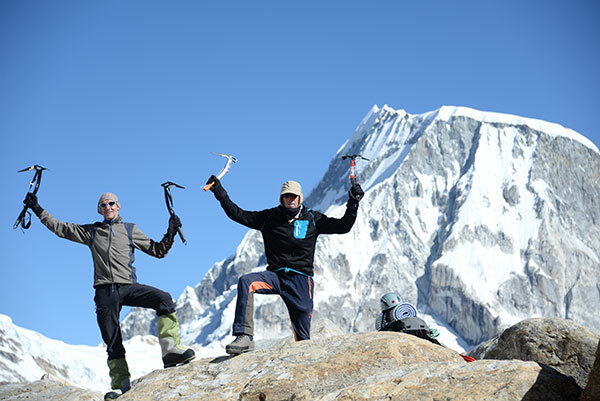 Then we will check our climbing equipment for the next day, overnight Camping at (4300m). We will wake up very early and have breakfast around 2:00hours, after that we will start hiking at 2:30hours to the glacier, arriving to the glacier after 2 hours half hike, then we will put and use our climbing gears and start climb up to the summit for about 3 hours, getting the summit over (5530m) we will enjoy the nice view for some minutes to take pictures around the valley, there we will see the amazing mountains and nice lakes, then we will start to descend for about 2 hours to the Moraine camp and continue to the Base Camp, arriving around 2;00 hours, overnight camping. We will wake up very early and have breakfast around 2:00hours, after that we will start hiking at 2:30hours to the glacier, arriving to the glacier after 3 hours half hike, then we will put and use our climbing gears and start climb up to the summit for about 3 hours, getting the summit over (5495m) we will enjoy the nice view for some minutes to take pictures around the valley. This day we will back to Huaraz after the breakfast around 8:00hours, go down to Cochapampa, lunch on the way, it will takes 3 hours to cochapampa where our private transfer will be waiting to for us come back to Huaraz – Hotel. Aclimatization day to Churup Lake 4,450m. Peru is known for having very stable periods of weather during the Andean Winter (May – Aug). The remainder of the season is dominated by the rainy season. While climbing and trekking in Cordillera Blanca you will encounter a wide range of temperatures; from freezing nights, to snowy and windy conditions, to bright sunshine intensified by the high altitude. In one day you may experience temperatures below zero, then daytime highs of 50-70ºF range with intense solar radiation. 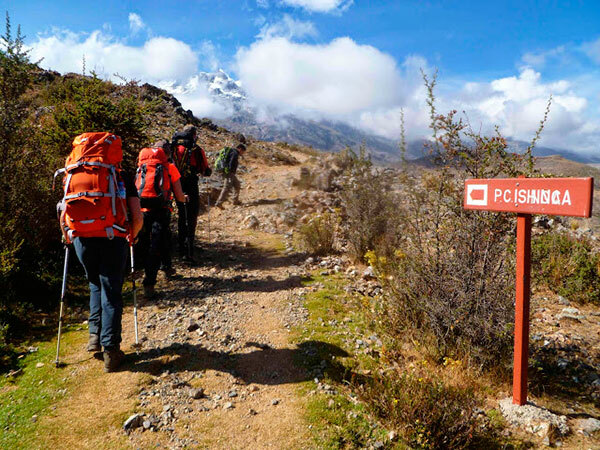 You will need everything from shorts and a t-shirt for your time in the town of Huaraz to being fully clothed in down expedition jackets on summit day. This wide fluctuation in temperatures makes it important to bring everything on the equipment list.